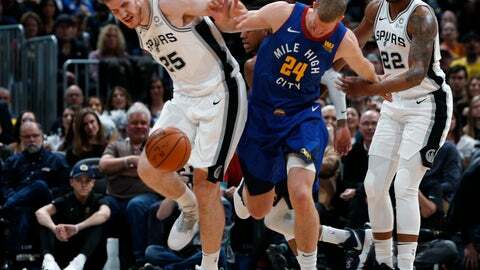 DENVER (AP) — Jamal Murray and the Denver Nuggets keep right on rolling. Not just ankles, either. San Antonio turned up the defense in the second half to climb back into the game. Trailing 100-98 with 28 seconds remaining, Derrick White made one of two free throws. Morris then was fouled on a drive to the basket and made both. Morris finished with seven points, five rebounds and seven assists.